Singapore is a country we always enjoy visiting, sometimes staying to check out the sights and visit friends, other times just fleeting visits as we pass through on our way to Australia. Whatever the reason for visiting Singapore there’s no shortage of flights to this tropical nation. 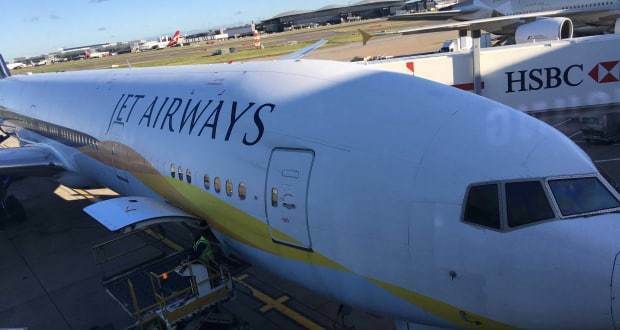 On our latest excursion we were invited to review Singapore Airlines flight SQ319 departing from London Heathrow, flying to Changi Airport. 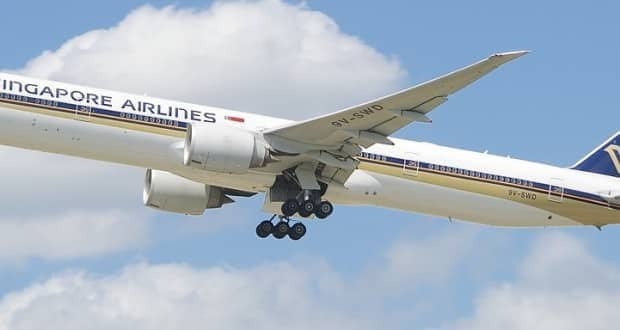 Singapore Airlines has repeatedly been voted in the top 3 of the world’s best airlines but would their new Boeing 777-300ER live up to the high expectations? While the flights were sponsored in part by Singapore Airlines we had full control of our booking through their website. Logging in with our booking reference and last name, we could pick which seats we wanted with a very clear and concise admin system. There was no additional charge for reserving seats either, only additions for exit rows and any seats with longer legroom. There’s also an option to upgrade your seat to another class and redeem Singapore Airline’s “Krisflyer” points too. We could also check-in online up to 48 hours before our flight although most people seem to check-in online these days so its appeal of queue jumping at the airport is somewhat lost. 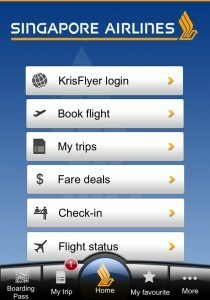 There’s a mobile app with full access to your booking and flight details making the whole process very easy. All Singapore Airlines flights depart from Terminal 2 at Heathrow and check-in couldn’t be easier. The central entrance to the building has Singapore Airlines check-in desks conveniently located right in front of you at zone E. Whether this is because the airline has paid the airport extra to be located front and centre, I don’t know but it definitely makes finding the check-in desks that little bit easier. There was also no queue when we arrived and we were greeted by the airline’s check-in manager who showed us to the correct desk. A minute later and we were all done, leaving us lots of time to explore the airport and relax before boarding. Singapore airlines made this handy video all about checking in at terminal 2. Definitely worth watching. Singapore Airlines were keen for us to experience their new 777-300 Extended Range aircraft with its newly designed interior and in-flight entertainment system. Having recently reviewed a British Airways 777-200 to Antigua it was interesting to see how the two compared. Boarding was quick and simple with the rear rows entering first in blocks of 10 rows. The plane has the same 3-3-3 configuration for economy class is all Boeing 777 aircraft so we opted for 2 middle seats giving us easy access to the isle without waking someone up during the night. 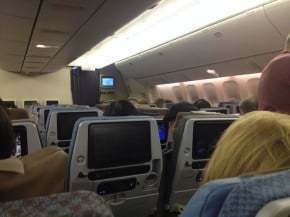 The cabin was noticeably bigger overhead with newly configured overhead bins and brighter LED lighting. Singapore is known for its high standards of quality and this was apparent from the moment we stepped on to the plane. The “Singapore Girl” has been a big part of the airline’s marketing since 1972 and all female flight crew had the familiar Singaporean uniform and friendly smile. I’m not entirely sure how the airline does it but there’s a feeling of already being in Singapore even when you’re still at Heathrow Airport. SIA were very keen for us to try out their brand new in-flight entertainment experience, one that they boast is the world’s most advanced. The first thing of note was the size of the screen which is an impressive 11.1 inch wide-screen format in economy. With touch screen controls you navigate through menus and options with smartphone like gestures, swiping left and right to see more movies and TV shows, taping to view and sliding volume and brightness controls. The sheer amount of movies on demand here was very impressive. Some of the latest and greatest from Hollywood along with some classics and a wide selection of Chinese and World movies to suit the high numbers of Singaporeans on the flight. There’s a bunch of touch-screen friendly games you can play too which were good fun although the responsiveness of the controls wasn’t quite on a par with an iPad or Android tablet, also repeated tapping and swiping could possibly annoy the passenger who’s head is rested on the other side of your display. Although we had no issues on our flight, we have experienced this on other flights recently. There’s still a remote control style device wired to the seat in front that once controlled the in flight entertainment system. Rather than remove this device, Singapore Airlines have put it to good use and added another touch screen to it as well. We could easily watch a movie on the main screen while checking the time and flight data updates on the hand held control. There’s also a very useful notifications system on here so any messages from the crew were displayed here rather than pausing the movie and interrupting all the passengers. One slight issue with the in-flight entertainment system happened some 7 hours or so in to the flight. It had been noted that the flight path section was not working so the crew decided to reboot the entire system which took at least 20 minutes. Most passengers were asleep at this point but unfortunately I was not, instead I was half way through a movie so had to wait patiently while the whole thing re-launched, the cabin was almost pitch black while this happened until the system restarted and every screen in the plane displayed a bright white that no doubt woke a few people up. Other than this minor glitch I have to agree that it is the most advanced in-flight entertainment I’ve seen with more than enough movies, tv and games to keep everyone entertained. Also worth mentioning the in-flight entertainment system could not be used before or during take off and landing. Something that many other airlines now allow. This makes a surprising difference and I find the anxiety of take-off is drastically reduced by having access to the movies as soon as I board. I hope Singapore Airlines change this policy soon and allow us to use portable electronic devices and the entertainment system to aid a stress free flight. More to read: What to do in Singapore on a budget. Our seats were well padded and covered in a high quality material that could be considered a signature of Singapore Airlines flights now. Definitely better than the standard material used on most budget airlines. The leg room was unfortunately a little less generous than our recent British Airways 777-200 flight. I am taller than the average passenger and had trouble getting comfortable, my knees touching the seat in front and quite a struggle to get them under the seat in front. This was compounded by the the fact that the seat slides forward as you recline, great if you’re short or average height but just made matters worse for me. Thankfully the surroundings were comforting and the endless movies were distracting enough. I understand many of Singapore Airline’s passengers probably have no issue, with the average height of a Singaporean currently at 1.7 m (5 ft 7 in). I unfortunately am 1.9 m (6 ft 4 in) so in future I’ll need to spend a little extra on a seat with more legroom. Flight time was around 12 hours 40 minutes although we were delayed by around 40 minutes at Heathrow due to levels of air traffic over Europe. Something that happened to all air traffic heading east out of London. We later found out why this was when we hit some clear air turbulence of Germany. A fairly bumpy ride for around an hour but the pilot kept us updated and thankfully it never got too rough to scare anyone. Other then at that the flight was smooth and enjoyable. It’s amazing how quickly 12 hours and 40 minutes can go when you’re well fed and entertained. One thing Singapore Airlines prides itself on is quality of service and it was highly apparent on this flight. The flight crew were very attentive and always smiling. There was a choice of meals presented to us in a high quality printed menu, the meals were delivered promptly and there were noticeable differences with many other airlines, mostly in the amount of food you were given and the range of drinks available. I’m partial to a famous Singapore Sling cocktail and I have to say the airline’s is one of the best I’ve tasted. Glasses of water were offered at very regular intervals and a tray of brand snacks was available at any time from the staff located at the Galleys both in the middle of the economy section and at the back. When we went for a snack we had a lovely chat with one staff member who was genuinely interested in why we were heading to Singapore and where we should go. The toilets always seemed clean and tidy, in fact on a couple of occasions I had to wait while the flight crewed cleaned and sprayed the washrooms with sweet smelling deodoriser. There’s a few airline branded moisturisers available in each washroom along with extra toothbrushes, combs and other sweet smelling lotions. Something I felt inclined to make use of during my half day on the plane. We had an enjoyable long haul flight to Singapore, touching down only 25 minutes behind schedule. 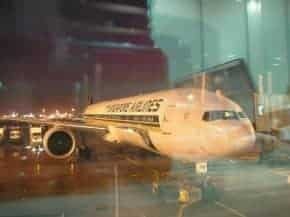 We felt like we’d arrived in Singapore before we’d even taken off and were treated more like human beings than human cargo, a feeling you sometimes get on airlines. The food and service was impeccable and the in flight entertainment system, although briefly out of action, was definitely a big step in the right direction. Offering advanced features and larger screen size, something many airlines should take note from. While Singapore Airlines is rarely the cheapest way to get to Singapore, it is no doubt the best way to get there. A big thank you to Singapore Airlines for sponsoring us on flight SQ319 from London Heathrow to Singapore. 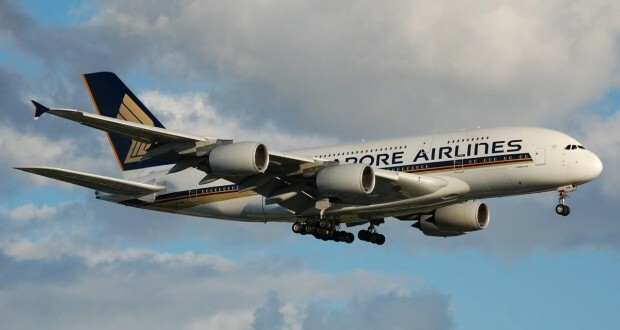 On our return journey we reviewed the Singapore Airlines A380, the enormous double-decker aircraft flying twice daily to London. Check it out to compare the quality of the A380-800 service with the new 777-300ER.